Vivo v3 is a very good phone. Mainly it is a very fast smartphone. But the rear camera is not too good and front is good in light. I have been using this phone for 6 months and it had not hang till now. A powerful smartphone!!! It&apos;s a nice handy phone. Additional security features are nice. Camera is average as compared the the similar camera phones. It&apos;s a good buy at this price. Good security features. Inuit memory is good. Hangs a lot. Battery drains quickly at times. It needs to provide and update either Marshmellow or Nougat.. Have had a good time till now with the phone. Lags sometimes however needs to reboot to run and it works. Just waiting for the update from the company. Nice phone to have with camera and good processor to play games. Lags sometimes but it&apos;s fine. Need to reboot the phone to work if any App freezes. It heats up. 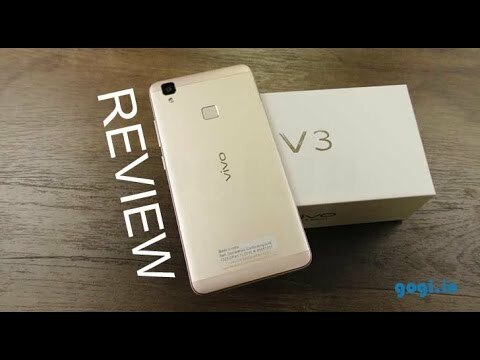 12 Pricebaba users have written their experience with Vivo V3. If you own Vivo V3, please do leave your feedback too. Lowest price of Vivo V3 price in India starts at Rs. 15,000 Vivo V3 is available on Amazon at Rs. 15,000. Prices updated on 23rd April 2019. ﻿Sponsoring the IPL 2016, Vivo is back with their new devices Vivo V3 Max & the Vivo V3. The two devices focus majorly on feel & design, thanks to the Metal Unibody construction of the device. The Vivo V3 is the younger sibling of the Vivo V3 Max with a smaller form factor and dumbed down configuration. The device sports a 5 inch display with a resolution of 1280x720 pixels, that gives the display a pixel density of 294PPI. In terms of performance the Vivo V3 runs on Qualcomm’s Snapdragon 616 Octa Core chipset that is clocked at 1.5GHz and combined with it is 3GB of RAM. Vivo V3 is powered by a 2550mAh non-removable battery and will be available in two colors viz. Gold & Silver. 1. Does Vivo V3 features a fingerprint scanner? Ans: Yes, it does feature a fingerprint scanner. 2. Does Vivo V3 work with Reliance Jio Network? Ans: Yes, it does work with Reliance Jio Network. Ans: Yes, it comes with OTG support. 4. Does the phone have a Hybrid SIM slot? Ans: No, it have a dedicated slot for MicroSD card. Ans: It comes with Android 5.1 Lollipop with Funtouch OS on top. So far, the company hasn’t released any update for the device. Ans: It sports a 13MP rear camera with LED flash and comes with different modes such as HDR, Panorama, Night, PPT, Motion track, Profession, Slow, Fast. It performs decent in daylight whereas a bit grainy in low-light conditions. 8. Is this a good phone for gaming? Ans: Vivo V3 is a decent gaming device. Even high graphics games like Asphalt 8 and Mortal Combat X run without any noticeable lags. 9. Are there any heating issues? Ans: It does show some signs of heating while playing intense games like Asphalt 8 or Mortal Combat X. 10. Is the battery removable? Ans: No, the phone comes with non-removable battery as it flaunts a metal unibody design.